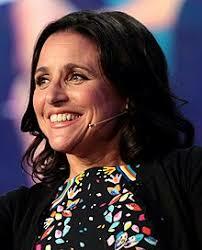 Julia Louis-Dreyfus, 56-year-old multiple Emmy-winning star of "Veep" and "Seinfeld," has breast cancer. The actress disclosed her diagnosis on Twitter yesterday "in a signed message snapped on personal stationery," according to a Huffington Post story by Sara Boboltz. Her note began, "1 in 8 women get breast cancer. Today, I'm the one." She also took the opportunity to plug universal health care: "The good news is that I have the most glorious group of supportive and caring family and friends, and fantastic insurance through my union. The bad news is that not all women are so lucky so let's fight all cancers and make universal health care a reality." Actress Deborah Messing, who again is starring in the TV sitcom "Will and Grace," tweeted that "you are incredible to use this moment as an opportunity to support others." And actress Anna Kendrick tweeted, "I don't think I realized how much I love this woman, who I don't know. Love her more for speaking up for others in this moment." Christina Applegate, an actress who had a double mastectomy in 2008 after she was diagnosed with breast cancer, said Louis-Dreyfus could contact her if she wanted to talk. Former vice president Joe Biden, whose son Beau died of cancer in 2015, tweeted that "we Veeps stick together. Jill and I, and all of the Bidens, are with you, Julia." Just under 240,000 women are diagnosed with breast cancer each year. Louis-Dreyfus, who did not immediately announce what treatments she's contemplating, won her sixth consecutive Emmy for playing bumbling politico Selina Meyer on "Veep," a political satire, earlier this month, a record. Her latest award came the day before her diagnosis. More information on the disease, as well as reactions to diagnoses, can be found in "Rollercoaster: How a man can survive his partner's breast cancer," a VitalityPress book I, Woody Weingarten, aimed at male caregivers. Lab mixups and mistaken diagnoses (both positive and negative) may be happening to thousands of patients each year. That's what Gina Kolata indicated recently in The New York Times. Her article focuses on how to avoid those errors — a "high-tech solution: a way to fingerprint and track each sample with the donor's own DNA." But it's costly: About $300 per sample. So labs are reluctant to employ them. 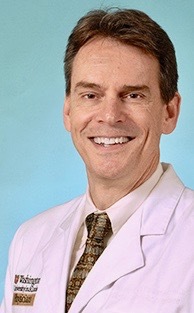 Kolata, however, quotes Dr. John Pfeifer, vice chair of clinical affairs in the pathology and immunology department at Washington University School of Medicine in St. Louis as saying, "All the process improvement in the world does not get rid of human errors…Millions get biopsies every year. Is society going to say, 'Yeah, mistakes happen but we're not going to look for them?" When the fingerprinting method is used, the lab tries to match the DNA from a swab taken from a patient's mouth. If it doesn't match, that signals a lab mix-up. Errors, according to Kolata, "may lead a patient down a life-altering path, to a grueling treatment that was unnecessary, or to the neglect of a cancer that may or may not prove deadly." Pfeifer actually reviewed more than 13,000 biopsy results from men evaluated for prostate cancer at a number of labs. The results were supplied by the chief exec at Strand Diagnostics, the company that's marketing the fingerprinting method. 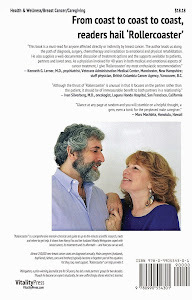 More information about research into lab results can be found in "Rollercoaster: How a man can survive his partner's breast cancer," a VitalityPress book I, Woody Weingarten, aimed at male caregivers. A Sierra Leonean student reportedly is developing an alternative breast cancer treatment for black women. 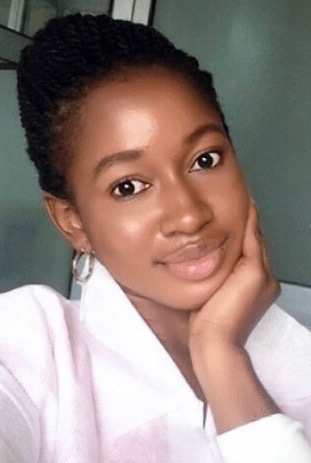 According to a recent story by Taryn Finley on the Huffpost website, the research of Sandra Musujusu, a student at the African University of Science and Technology in Abuja, Nigeria's capital, is focusing on "triple negative breast cancer, which is actually the aggressive subtype of breast cancer that is common with women from African ancestry." The Huffpost piece references an article in the Nigerian Tribune that reported the research centering on "the development of biodegradable polymers for treatment of breast cancer." A variety of African publications have been sanguine about Musujusu's research potentially leading to a cure. She apparently is using macro molecular science as her basic tool. Breast cancer, the Huffpost story indicated, "is the most commonly diagnosed caner among women around the world. In 2012, there were 1.7 million new cases worldwide, according to World Cancer Research Fund International." An online article on the Rollingout website says that "about 1 in 8 U.S. women "will develop invasive breast cancer over the course of her lifetime, according to breastcancer.org." The National Cancer Institute has reported that approximately 1,211,690 black people have a history of cancer. In the United States alone, the Huffpost story notes, "black women with breast cancer have the highest mortality rate than any other race, according to the Susan G. Women Foundation." And the National Cancer Institute has said approximately 1,211,690 black people have a history of cancer. Musujusu is a World Bank scholarship student. 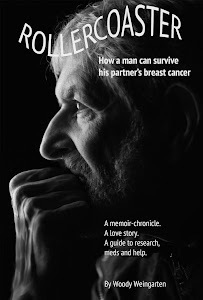 More information about breast cancer and black women can be found in "Rollercoaster: How a man can survive his partner's breast cancer," a VitalityPress book I, Woody Weingarten, aimed at male caregivers.